Advent begins next Sunday [2 December 2018], but so too does the Jewish Festival of Hanukkah. Both are times to think of how the light of God is kept alive in the darkness of the world. 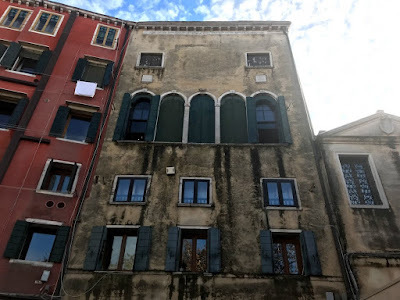 Today, as I think about these themes and finish working on my Sunday sermons, I find myself thinking again of the lives of two rabbis in Venice, both of whom I heard about when I visited Venice and the Ghetto earlier this month. Leon of Modena (1571-1648) and Simeon (Simcha) Luzzatto (1583-1663) were contemporaries in Venice in the late 16th and 17th centuries, and their work prefigured the Enlightenment in Europe. Leon of Modena, or Leon Yehudah Aryeh Mi-Modena, or Leon Judah Aryeh of Modena, was a born in Venice on 23 April 1571 into a Sephardic family whose ancestors had migrated to Italy after an expulsion of Jews from Spain. His parents were Isaac of Modena and Diana Rachel. His grandfather Mordecai, a distinguished physician and philanthropist, was made a Knight of the Order of the Golden Fleece raised by the Emperor Charles V.
His father ensured Leon had a complete education that included even singing and dancing. At the age of 12, he translated into Hebrew verse the first canto of Ludovico Ariosto’s epic poem Orlando Furioso. About a year and a half later, he wrote his dialogue against gambling, which saw 10 editions and was translated into Latin, French, German, and Judæo-German. Even at this early age he was not only well versed in Hebrew and rabbinical literature, but was conversant with the classics and had a knowledge of mathematics, philosophy and natural history. This once precocious child grew up to be a respected rabbi in Venice. However, his reputation within traditional Judaism has suffered for many reasons, including his criticism of emerging sects within Judaism, his addiction to gambling, and his unstable personality. Although he had fulminated against gambling in his youth, as an adult all his resources were swallowed up in gambling, reducing him to penury and accounting for his misfortunes in life. In 1590, at the age of 19, after the death of his fiancée, his cousin Esther Simḥah, Modena married her sister Rachel. 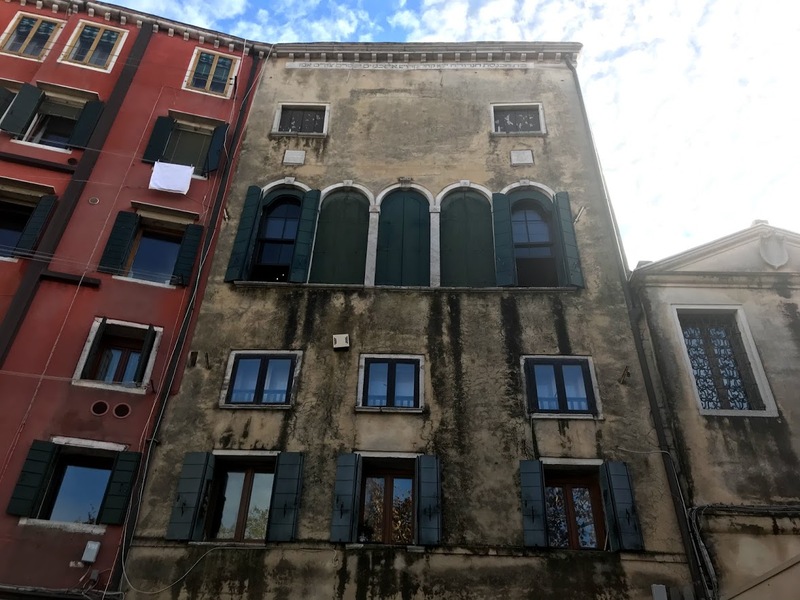 He wished to embark on a rabbinic career, so in 1592 he returned to Venice, but the Jewish lay leaders raised the age of ordination to 35 and then 40. Modena was forced to find his own opportunities to earn a living and for recognition until he was ordained in 1609. His sermons in Italian in the synagogues in Venice attracted large numbers, including priests and members of the Venetian nobility. His success as an orator and a poet earned respect among Christian scholars, and gained him admission to the circles in Venetian life. His pupils included Louis Eselin, a noble French courtier, the Archbishop of Lodève, John Plantanit, Jacob Gaffarelli and Giulio Morosini. Leon de Modena and his student Azaria Piccio later became intellectually close. wo of his children died in infancy, and two of his adult children who died in his own lifetime: Mordecai, who was endowed with great ability, died at the age of 26 by inhaling fumes during alchemy experiments, while Zebulon was killed in a brawl. A third son Isaac led a dissolute life, emigrated to Brazil, and returned to Venice only after his father’s death. Of his two daughters, one died in his lifetime, while the second was widowed and she and her family became dependent on Leon for support. His wife became insane in 1641 and remained so until she died. Although he failed to rise to real distinction, Leon of Modena is best known as the interpreter of Judaism to the Christian world. He has earned a place in Jewish learning in part for his criticism of the mystical approach to Judaism. One of his most effective works is his attack on the Kabbala, Ari Nohem, in which he tries to show that the ‘Bible of the Kabbalists,’ the Zohar, is a modern composition. He argued that the name Chachmas HaKabbalah, ‘The Wisdom of Kabbalah,’ is misleading, since it is neither ‘wisdom’ nor a Kabbalah or tradition going back to Moses, but a mere fabrication. His autobiographical Chayye Yehuda (‘The Life of Judah’) is a candid and emotional work, and in it he admits to being a compulsive gambler. His Magen va-hereb (מגן וחרב ‘Shield and Sword’) is a polemical attack on Christian dogmas. In this work, he takes to task Christians for their interpretations of Hebrew scriptures and refutes Christian claims. At the request of John Donne’s friend, Sir Henry Wotton, the English Ambassador to the Serene Republic, Leon wrote an account of Jewish customs and rituals, Historia de gli riti Hebraici (1637). Wooton’s secretary in Venice was William Bedell (1571-1642), later Bishop of Kilmore, and the original intention was to for present this book to King James I. This was the first Jewish text addressed to non-Jewish readers since the days of Josephus and Philo. It was widely read by Christians and was translated into many languages, including French, Dutch, German, Latin and – paradoxically – even Hebrew. A posthumous translation into English by Edmund Chilmead (1650) was published at a the time when the return of Jews to Britain was being debated, and Leon of Modena’s book did much to stimulate popular interest. He served as cantor in a synagogue in Venice for more than 40 years. Earlier, he is believed to have introduced some sort of polyphony in the synagogue at Ferrara, and wrote two essays on music justifying polyphonic practice in services and celebrations. His gambling led to a dispute with the leaders of the Jewish community in Venice. In 1631, they decided to excommunicate anyone who played cards or took part in games of hazard, within the period of six years. But Leon wrote a treatise in which he demonstrated that the leaders had acted against the Law, and the order for excommunication was revoked. His wife Rachel died on 7 March 1648, and he died in Venice two weeks later on 24 March 1648. Modena’s life is an example of the struggles of early, modern rabbinic authority. His candid and extensive writings provide details about the social and economic conditions of Jewish beliefs and daily life in 17th century Venice and Jewish-Christian relations. When his writings were rediscovered in the 19th century, they were seen as attacks on traditional Judaism. The early proponents of Reform Judaism looked to him as a precursor, while those who wished to undermine Reform Judaism denigrated him a gambler, a heretic, a hypocrite, and a person filled with complexities and contradictions. Some portray Modena as a Renaissance Jew or the ‘first modern rabbi.’ But, in fact, the Renaissance in Italy was ending by then and in much of his writings he defends traditional mediaeval rabbinic authority. Perhaps it may be more appropriate to see Modena as one of the last mediaeval rabbis and the period in which he lived as the beginning of modern Jewish thinking.